1.0.1 “I love Mayuyu!” Japanese idol secret admirer ? 2.0.1 A year filled with campus activities and JKT48! “I love Mayuyu!” Japanese idol secret admirer ? Most memorable things : At the final audition, it feels like that my dream came true. Things she wants to do more as a JKT48 member: To have more concert in Japan! I’m living my dream cheerfully, My name is Diasta! Diasta started to love Japanese idols since she interested with a Japanese band 9 years ago. Now she is a AKB48 fans, and her oshimen is Watanabe Mayu, also known as Mayuyu! 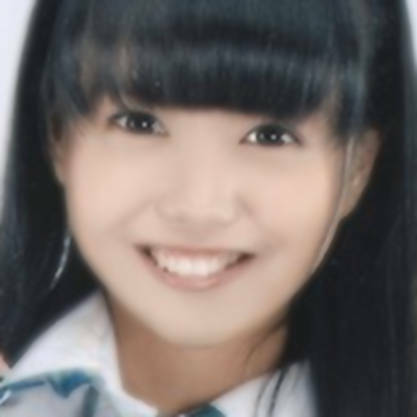 Diasta often regarded as an “Idols Maniac” by the other JKT48 members. “Well, perhaps I really am a maniac, although that probably because I love everything that related to Japanese…” , she said laughingly. Since she ever often touched with Japanese culture, she could understand Japanese language passively. She befriend Kojima Natsuki from AKB48 since they met at AKB48 concert in Jakarta, and still communicate with her through Google+. Greetings like “Konbanwa/Evening” or “Oyasumi/Sleep Tight” becoming their daily conversational subject. The latest one is that they conversing about the Chinese food both of them having while they’re in Jakarta. She’s kinda timid, but since she got her chance in AKB48 concert in Saitama Super Arena in Japanese, she’s motivated to keep trying as hard as she could. Change that you felt the most while being in JKT48: Becoming more confident. Happiest moment in JKT48: When I’m doing dance practice. What you do before going onstage: eat something sweet to increase my energy. Member you are closest with and what you do with them: Ghaida. Going on walks or shopping. Are you the type to confess your feelings to someone you like: I want the other person to confess their feelings to me. Nickname that you want from your boyfriend: I want to be called by my nickname. Item you will bring in a deserted island: my phone. A year filled with campus activities and JKT48! Diasta, who is now on her 8th semester at university remembers her days filled with activities with a smile. The toughest part is when she has to call JKT48 staff and re-plan her schedule, making her next schedule packed. If everything goes well, this year, she will graduate from university. “Next year, I will concentrate in JKT48 and fight to learn to sing and dance,” says Diasta full of spirit. For this girl who is nicknamed [Nyash], the culture and entertainment from the Land of Rising Sun are extremely interesting things. Since young, this girl of Bandung origin loves to keep track with all kinds of animation series from Japan. “I love anime and Japanese artist. I really love to watch anime and my favourite ones are Fairy Tail and Hunter x Hunter” Diasta shared. Not stopping at this point, her love for Japan extends over to become her hobby of attending cosplay event as well as forming a band that loves to perform J-Pop. This girl became their vocalist. “However after joining JKT48, I left the band hehehe….” This girl who also owns various action figures said.